For ultra-orgasms you need Doc Johnson's Ultra Lube! A water-based formula designed to reduce friction and enhance smooth sensations during intimate play, slather your favorite toys with this long-lasting lubricant for thrills aplenty. Order over the phone: Call 1-866-647-9194 and quote code 70380. Please note: Formulas containing oil are not suitable for use with latex condoms or clothing. Solutions containing parabens, glycerin and sugars should be used externally only. Upon receiving and opening the parcel and opening it eagerly I was greeted with a plain large bottle of lube with minimalistic graphics on it, which is what I prefer. The bottle the lube is in is a nice and thick quality plastic bottle, I would have no worries dropping this on the floor as I am confident it would not crack or break in any way. On the label on the bottle there is the usual info on the back directions for use, ingredients, warnings. The cap on the bottle is a press to open and push to close simple and easy especially while you're using it and your hands are all slippery. I have to admit I am a huge fan or Doc Johnson products I can not fault them. A lot of lubes we try tend to dry up or go tacky after a little bit so I was thinking this would be the same old story. However I was pleasantly surprised it was still slippery and wet 30 minutes later. We did not have to reapply any and a great feature is a little goes a long way, and with the size of the bottle it will last you a long time so is certainly value for your money. It states long lasting water soluble on the front of the bottle and it certainly long lasting. It is even condom safe (natural rubber, polyurethane latex and polyisoprene). There is zero smell with the lube as well no matter how close to your nose it gets. The quality is 10/10. I have to admit we stopped using a lot of lubes because of the quality of them but I have to say this along with (Lovehoney's own brand lubes) they will be a constant resident in our toy chest. 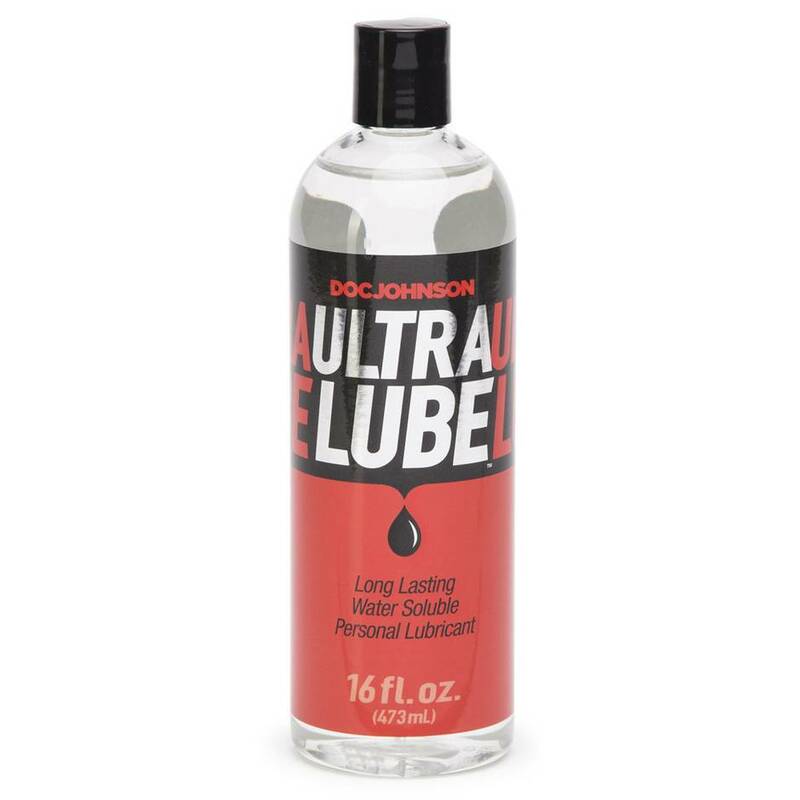 I would recommend this bottle of Doc Johnson lube to anyone and everyone it will not disappoint you at all and with the size of the bottle and the little goes a long way quality it is value for money. Wetness, quality, long lasting, amount you get. Value for money, a little does certainly go a long way.